This doesn’t really have to do with anything local other than that there must be some speed golfers in Santa Cruz. Know of any? Send them our way. Bandon Dunes hosted the Speedgolf World Championships on Oct. 20-21, 2012. The 36-hole tournament, which consisted of 16 professionals competing for a $50K purse, will air on Saturday, April 13 (Masters Saturday), at 1:30 p.m. ET on CBS. The ½-hour show will lead up to CBS’ coverage of The Masters. Click here to view a 1-minute video see firsthand how these athletes score around par in less than an hour. NVM entrant Leslie Haverstock (38, Santa Cruz, Calif.) is a veteran Special Education teacher of 16 years for the Santa Clara County Office of Education. Her students are six to eight years old. Haverstock says she ran in high school, and a bit in college, but didn’t start running faithfully until 2004 when she set her sights on the Chicago Marathon. She dedicated that first marathon to Alex, one of her students who diligently checked in with her about her progress every Monday after her long weekend training runs. “Someday, I’m going to run a marathon, too,” Alex told his teacher. He subsequently participated in several 5K races in a motorized wheelchair before passing away. 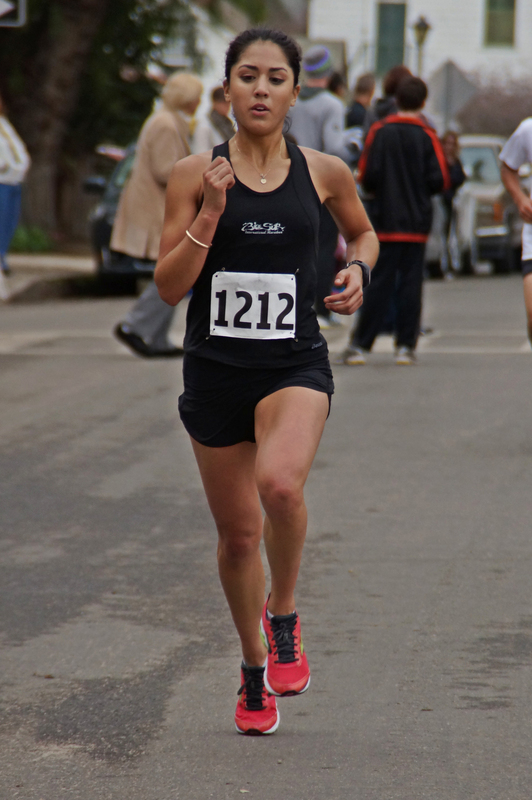 Aptos resident Nikia Brautovich won the Rotary Mission Ten 10-miler on Saturday, crossing the finish line of the footrace in San Juan Bautista in 1 hour, 3 minutes, 39 seconds for first place among women and 22nd place overall. Brautovich was followed by Stephanie Kato in second place [1:04:13] and Amy Johnston in third place [1:05:15]. Michael Ramirez won the men’s title in 56:24. Results included in this report are from the Rotary Mission Ten 10-miler website. Castroville resident Daniel Tapia, a UC Santa Cruz alum, won the California International Marathon over the weekend, according to preliminary results. Tapia crossed the finish line in 2 hours, 16 minutes, 29 seconds — with a 37-second lead over second-place finisher Tesfaye Alemayehu [Antioch]. Christopher Kipyego [Kenya] was third in 2:17:58. Alisha Williams of Colorado Springs, Colo., won the women’s race in 2:34:57. Clara Peterson of San Anselmo took second [2:35:36] and Natalia Sergeeva [New York] took third [2:38:20]. LaSelva Beach’s Peter Stanger, 60, was the sole person from Santa Cruz County to place in the top 10 of an age division. He was seventh in the men’s 60-64 age group, finishing in 3:37:32. Results included in this report are from runsra.com. Results at the time of this post were still considered preliminary. Casselberry waited more than an hour — no food, water, or support services available — with some of the other runners until, finally, the longtime Bonny Doon resident got what she wanted: Proof. A promoter returned with shirts and medals, and wrote down the remaining runners’ times by hand. Casselberry, who has been dedicated to the goal of running a marathon on every continent for years, could mark Asia off her list after having also finished 26.2-mile races in the United States [North America], Ireland [Europe], Australia, Antarctica and Madagascar [Africa] and Easter Island [South America] — sometimes going to creative lengths in order to create a marathon where there wasn’t one. Although the 34th Eurasia Marathon website still shows a “DNF” after her name, Casselberry said she finished in about 5 hours, 50 minutes. And while the race was a tough one — few bathroom facilities were provided, and course workers only had water, sugar cubes, and apples on hand — she said she thoroughly enjoyed her trip to Turkey. So what’s next? Casselberry, a Santa Cruz Track Club member, has already set a new goal of running a marathon in every state. She estimates she is 35-40 percent of attaining it after having completed The X-Country Marathon in the Everglades in Florida last weekend, where she finished in 6:58:45 for 22nd among women. Q: What was the best experience you had in fulfilling this goal? A: My best experience with this goal is that I have met incredible people along the way and we have become life-long friends. One cannot help but learn incredible amounts about other people, places and ways of life. Q: Which was your favorite marathon? 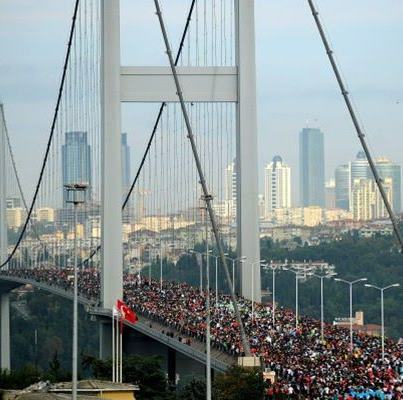 A: All of my marathons abroad were quite memorable. Antarctica was the most beautiful and the most difficult. I made really good friends on Easter Island. Istanbul touched my heart, tantalized my taste buds, and was a soulful experience. Q: What kind of support have you had from family and friends? A: If it was not for the support of family, friends, and my doctors at Santa Cruz Dental Group, none of this would have been possible. My bosses have been very patient and understanding of my goals. Watsonville resident Jose Antonio Barba and Santa Cruz resident Julia Blanton each placed in the top 50 of the men’s and women’s divisions, respectively, of the Big Sur Half Marathon last weekend. Barba crossed the finish line of the 13.1-mile race in 1 hour, 25 minutes, 40.7 seconds to finish 36th among men and 63rd overall. Blanton crossed the finish line in 1:36:09.659 for 31st among women and 223rd overall. The newlywed couple of Stephanie Rothstein-Bruce [1:12:18.975] and Benjamin Bruce [1:04:45.630] of Flagstaff, Ariz., won the race. 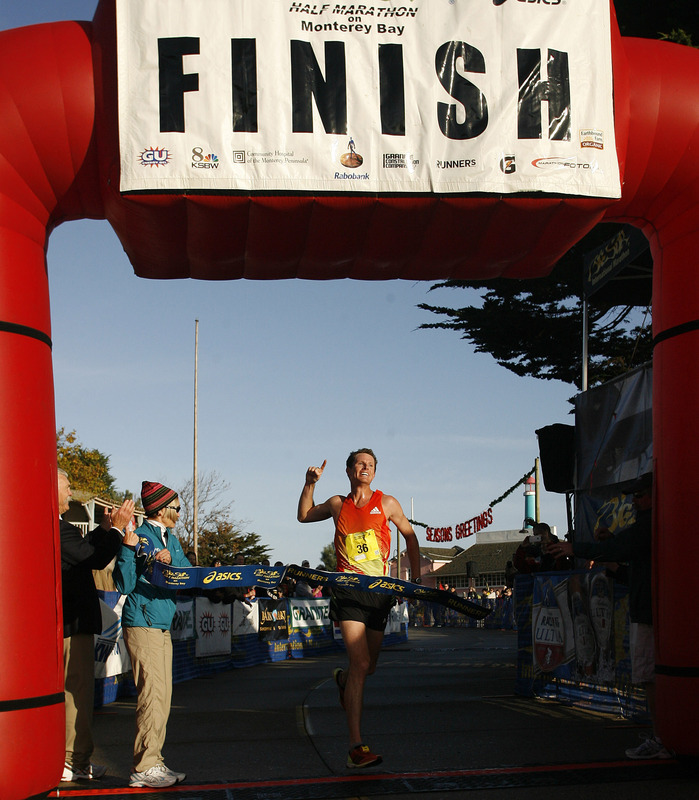 Results included in this report are from the Big Sur Half Marathon website. With just a couple weeks to prepare following surgeries that kept him on the couch for months over the summer, Santa Cruz resident Erik Edmonds — a paraplegic who competes in a special “running” wheelchair — finished the Santa Barbara International Marathon in 23rd place overall on Saturday. Edmonds won the wheelchair division as the only entrant for the second straight year. He crossed the finish line after 26.2 miles in 2 hours, 57 minutes, 40.7 seconds — just a few minutes off his 2011 time of 2:53:21.5. Edmonds, 32, lost the ability to walk when his spinal cord was damaged in a single-car accident in 2001 and is paralyzed from his upper-middle back down. He continues to suffer from neuropathic pain, which worsens when he is sedentary and makes him feel as though the left side of his body from his hip down is on fire. In part in an effort to combat that pain and in part because of his competitive nature and drive, Edmonds has been competing in marathon and triathlon the past couple years and is itching to get back in the water for triathlon. Abraham Kogo of Kenya won the marathon in 2:23:09.7.